1. You can swallow your tongue during a seizure. It's physically impossible to swallow your tongue. 2. You should force something into the mouth of someone having a seizure. Absolutely not! That's a good way to chip teeth, puncture gums, or even break someone's jaw. The correct first aid is simple. Just gently roll the person on one side and put something soft under his head to protect him from getting injured. 3. You should restrain someone having a seizure. Never use restraint! The seizure will run its course and you can not stop it. About as contagious as a gunshot wound! You simply can't catch epilepsy from another person. 5. Only kids get epilepsy. Epilepsy happens to people over age 65 almost as often as it does to children aged ten and under. Seizures in the elderly are often the after effect of other health problems like stroke and heart disease. 6. People with epilepsy are disabled and can't work. People with the condition have the same range of abilities and intelligence as the rest of us. Some have severe seizures and cannot work; others are successful and productive in challenging careers. 7. People with epilepsy shouldn't be in jobs of responsibility and stress. People with seizure disorders are found in all walks of life and at all levels in business, government, the arts and the professions. We aren't always aware of them because many people, even today, do not talk about having epilepsy for fear of what others might think. 8. With today's medication, epilepsy is largely a solved problem. Epilepsy is a chronic medical problem that for many people can be successfully treated. Unfortunately, treatment doesn't work for everyone and there's a critical need for more research. 9. 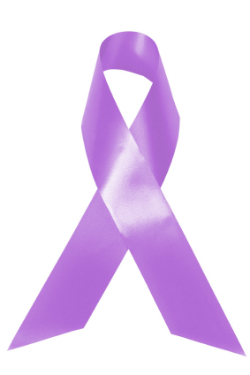 Epilepsy is rare and there aren't many people who have it. There are more than twice as many people with epilepsy in Canada as the number of people with cerebral palsy (55,000), muscular dystrophy (28,000), multiple sclerosis (39,000), and cystic fibrosis (3,400) combined. Epilepsy can occur as a single condition, or may accompany other conditions affecting the brain, such as cerebral palsy, mental impairment, autism, Alzheimer's, and traumatic brain injury. 10. You can't die from epilepsy. Epilepsy still can be a very serious condition and individuals do die of it. Experts estimate that prolonged seizures (status epilepticus) are the cause of many deaths in Canada each year. 11. You can't tell what a person might do during a seizure. Seizures commonly take a characteristic form and the individual will do much the same thing during each episode. His behaviour may be inappropriate for the time and place, but it is unlikely to cause harm to anyone. 12. People with epilepsy are physically limited in what they can do. n most cases, epilepsy isn't a barrier to physical achievement, although some individuals are more severely affected and may be limited in what they can do.